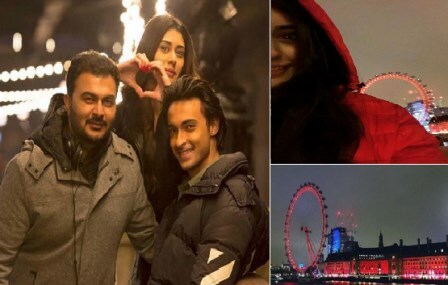 After wrapping Gujarat schedule #Loveratri debutante #AayushSharma and #WarinaHussain are having a gala time in London, shooting for the film. Salman Khan's brother-in-law Aayush Sharma will be making his Bollywood debut with the film Loveratri opposite debutante Warina Hussain. The duo is currently busy shooting for the film in London. In the movie, Aayush will be seen playing a Gujarati boy and Warina will be his love interest. It’s been further reported that Warina plays a ballet dancer in the film and Aayush essays the role of a Gujarati boy. The duo meet during Navratri and the love story follows. Directed by Abhiraj Minawala and produced by Salma Khan, Loveratri is slated to release on October 5, 2018.